I think my crowning achievement on this blog has been the Herbies of the Week series, which I look forward to every Monday! This series started three years ago (back in 2011) and I'm always in awe, inspired, and touched, when I think about all the different people and their amazing stories, that have been shared here every week. 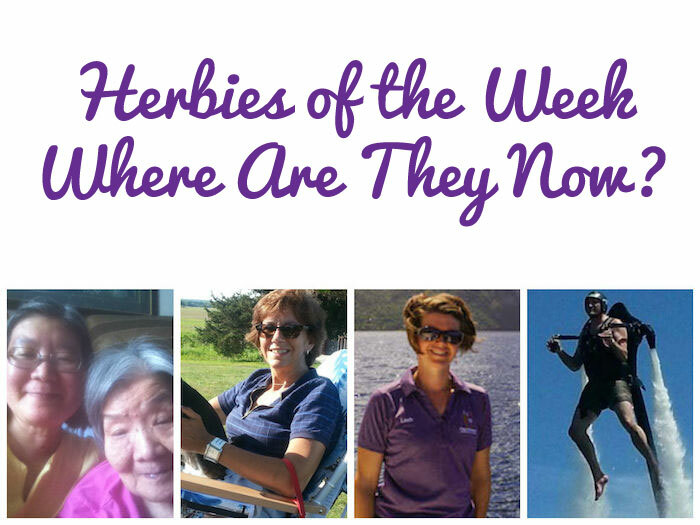 Meet our Herbies of the Week: The Dern Family! 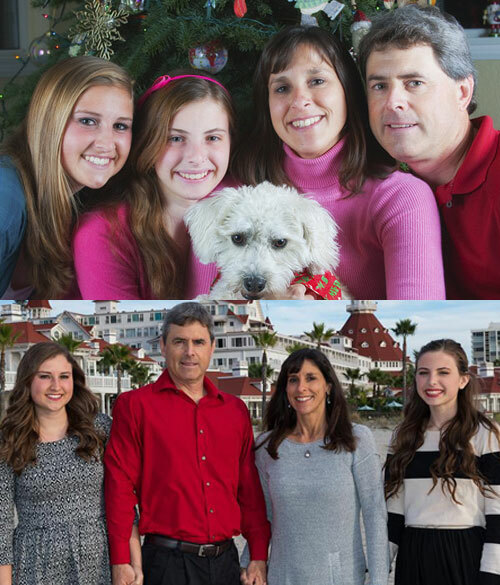 After her mother suffered a heart attack at the age of 43, Jenna's parents made the decision to go plant-based after watching Dr. Sanjay Gupta's CNN special on plant-based diets. Meet our Herbies of the Week: Stacy & Jim! Stacy started researching a plant-based diet after she felt her doctor was telling her she should just accept that she was not going to be able to lose weight and some people need to be on cholesterol medication. With a little encouragement from Rip Esselstyn, she and her husband began their plant-based journey in February and are loving the results! So far, Stacy has lost 30lbs and because she lowered her cholesterol, she's no longer taking medication! Jim has also lowered his cholesterol as well as his blood pressure and dropped 20+lbs. My husband has always joked that the warranty on the human body expires somewhere around the age of 35. I don't know if he is right or wrong but it is definitely when things started to change for both of us. Realizing that I was now 10 years past that expiration date, I started to feel hopeless so I made a doctor's appointment to see what I could do to feel better, lose weight and be healthier. Personally I don't think 45 is past hope but I left his office feeling more hopeless than ever. A few days later, his nurse called to give me the results of my blood tests. My thyroid is functioning properly, I am not insulin resistant and the only thing that was negative was my cholesterol at 252 and my weight at 178 pounds. According to the results, there shouldn't be anything stopping me from losing weight. So I asked her what he suggested I try since I am going to the gym at least 4 times per week, eating a low carb diet and ended up gaining two pounds. She put me on hold briefly so she could have the doctor speak to me directly. He told me that I should take a look at my family's body-type and realize that I cannot change my genes. Basically I felt as if he was telling me to just accept that I was not going to be able to lose weight. Just accept that some people need to be on cholesterol medication. He did recommend a local nutrition center but when I checked out their website, I decided I was not confident in trying a place that touts a liquid diet as a quick solution. It has been a lifetime of "quick fixes" that has helped me to end up in this situation. Not to mention as a personal chef... kind of hard to not cook meals. As you can imagine, I felt even more hopeless and angry at this point. So I did the only thing I could think to do. I got on the Internet to start looking for alternative solutions. As soon as I logged on to Facebook, I saw an advertisement for Rip Esselstyn's seminar and book signing. I knew of him from the documentary, "Forks Over Knives", and that he had written a book about a plant-based diet, "The Engine 2 Diet". To my surprise, his event was just a couple days away, was free and being held at The Ohio State University, which was very close to where we live. I immediately called to get tickets for me and my husband. I am so glad that I did. Listening to Rip speak, reminded me of the information that I had learned about plant-based diets in the documentary, "Forks Over Knives". As he continued to talk about the changes a plant-based lifestyle and removing overly processed foods from your diet can make in your overall health, I started to feel hopeful. Yes... I do wanted to lose weight as did my husband, but the real goal was to find a way to be healthy and not need medication to live. I was on cholesterol medication and my husband was on medication for cholesterol and high blood pressure. What is ironic is that my husband, who works in film and video production, actually worked on "Forks Over Knives". He didn't realize it at the time. Jim just thought he was working on something internal for the Cleveland Clinic. It wasn't until he came home one day and I was watching "Forks Over Knives". He recognized the interviews and made me start the documentary over from the beginning so he could watch it too. Guess that was a sign we should have been plant-based long ago. As you can see in the picture, I had quite the roll around my middle. I was up to a size 14, which was the biggest I had ever been in my life. I wore the scarf to try to disguise my fat... looking back, I was not all that successful. As you can see even my husband stayed pretty covered up; t-shirt, polar fleece and his vest. Neither of us liked to look in the mirror. When I met Rip and asked him to sign my book, I told him briefly about the conversation with my doctor and how it left me feeling hopeless but that I didn't believe that my husband and I were beyond help. 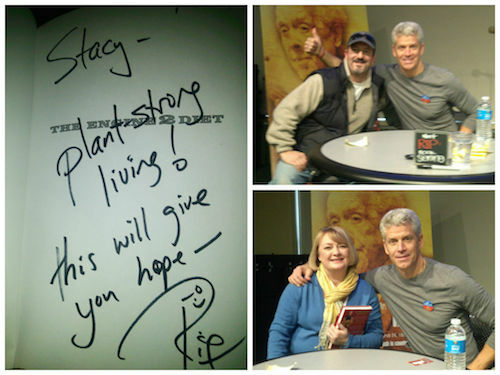 In my book, he wrote "Stacy, Plant-Strong Living! This will give you hope!" Meet our Herbie of the Week: Tommy! Once a die-hard carnivore, Tommy stopped taking his health for granted when at the age of 37, his doctor diagnosed him with diverticulitis after discovering abnormal growths in his colon and a pre-cancerous stomach lining. Meet our Herbie of the Week: Bethany! Bethany has been on a weight loss journey her entire life. 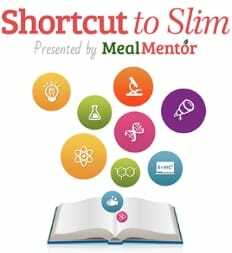 From fad diets to portion control to counting calories -- she's done it all. 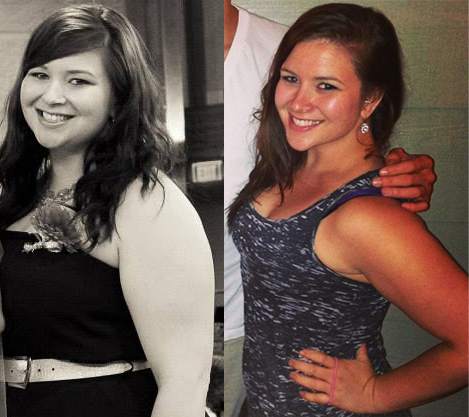 Then, in May of 2013, something clicked and she decided to change her diet. A couple months later her brother showed her a documentary, which ultimately led her to going plant-based.